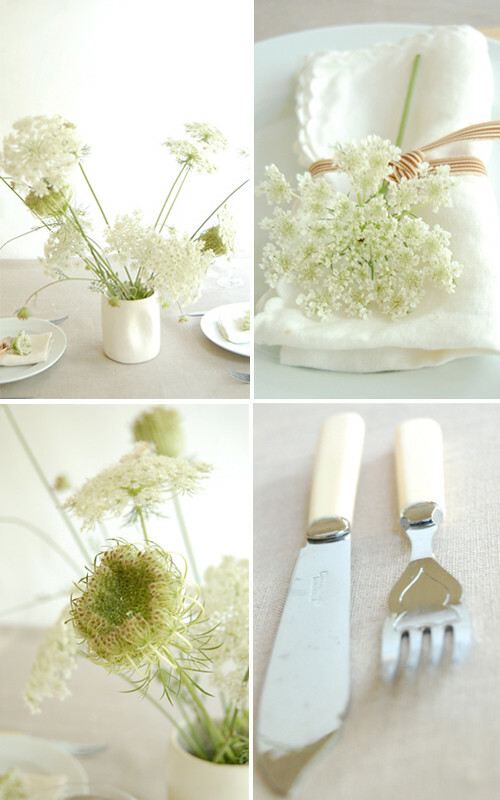 This beautiful white color scheme table setting is inspired by the wild flower Queen Anne’s Lace, which grows along the roadsides in summer. 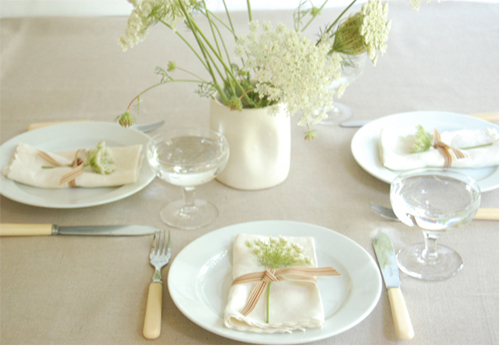 The table is covered in linen and white linen napkins are tied with brown + white striped ribbon. The table setting was originally created for by Chesea for Project Wedding, but I think it is suitable for any occasion and not just a wedding! These images were created by Chesea for Project Wedding.